Some 70 to 80% of the material, production and operating costs are already defined at the engineering stage. By optimising the influencing factors, these costs can be significantly reduced. The following three examples show how costs can be reduced at source. All 3D design data is immediately available and can be used directly for planning in your own CAD system. 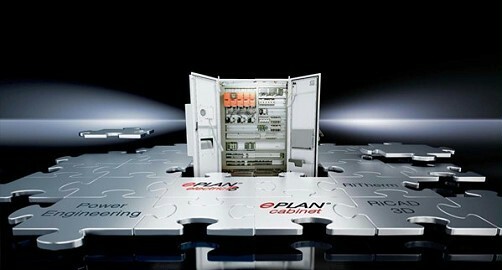 Drawing data from RiCAD 3D form the basis for efficient enclosure configuration in EPLAN Cabinet. Uniform project planning environment for electrical, fluid, EI&amp;C engineering and enclosure assembly in 3D. Overdimensioning of the cooling unit by just 1 kW causes avoidable energy costs of approx. € 1000 over the course of 3 years. With the climate control software Rittal Therm, the overall heat loss may be entered directly as a main parameter, or transferred from the EPLAN platform. Together with your Rittal system consultant, identify your potential savings.